Looking for an after dinner adventure? One that requires you to wait till dark, to pull out all the winter gear and explore an enchanted wonderland? You are in luck. 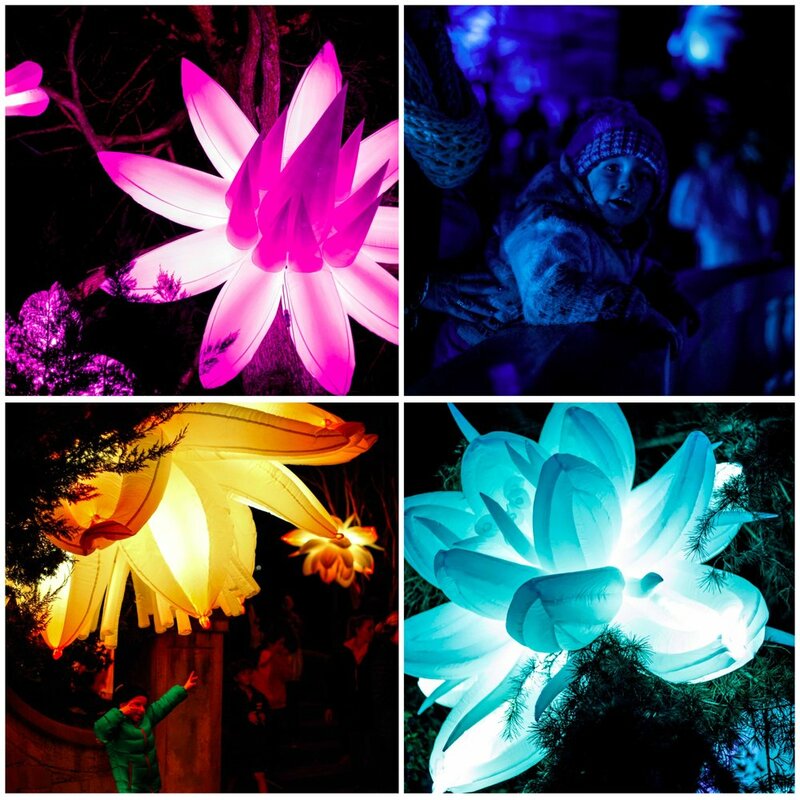 Central Park in Malvern East has exploded with light and a little bit of magic this week as part of Stonnington City Council's Glow Winter Arts Festival. Surrounding the fountain found between the playground and the glasshouse, artists from Mandylights have transformed the space into Alice's Garden. Dozens of inflatable light sculptures that dance with the wind and every 15 minutes or so, change colour with the music. The looks on little faces when they spot the oversize blossoms glowing, spy the candles in the garden or notice an enormous mushroom, is totally worth the quick trip to the gardens once the sun has set. You will also find the giant GLOW in the park as well as well as many of the trees being lit from below. A mixture of awe inspiring and a little spooky. Mamma's special mention: There are many more activation spots throughout Stonnington which embrace the Glow! Click here for more information.